Do you have a hard time deciding on the specific type of cat litter that your feline needs? Many pet owners are turning away from the harsh clay litters that are so prevalent on today’s market. However, which type is the best natural cat litter for your feline? With so many options to choose from, you can easily feel overwhelmed by the varieties and name brands available for purchase. Our comprehensive guide to the best natural cat litter should give you better insight into which type would suit your household (and your cat!) the best. When it comes to choosing the best natural cat litter, you should know exactly what properties you are looking for. This is one of the most overwhelming aspects of shopping for a new brand and type of litter. Scent: Does your cat have an aversion to specific types of scents in their litterbox? Some natural materials have an inherent aroma that can either entice your cat or drive them away. Consider how sensitive your cat is to certain smells before making a final choice on a particular type of cat litter. Clumping Formula: Every cat owner has their own preferences when it comes to clumping versus non-clumping formulas. 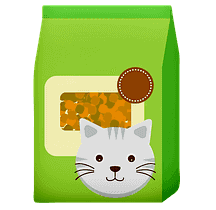 Fortunately, you can purchase natural cat litters that come in both varieties. Investigate which types offer clumping properties before you make a decision. Biodegradable: A true natural cat litter should come in a biodegradable form. Make sure to look for an eco-friendly option first. Dust: A dusty formula can be bad for you and your cat. The dust it produces can trigger allergies in both humans and their pets, making it a real chore to have to clean out the litter box on a regular basis. Look for dust-free or low-dust options when searching for the best natural cat litter. Price: Last but not least, you need to consider the overall price of the natural cat litter that you select. 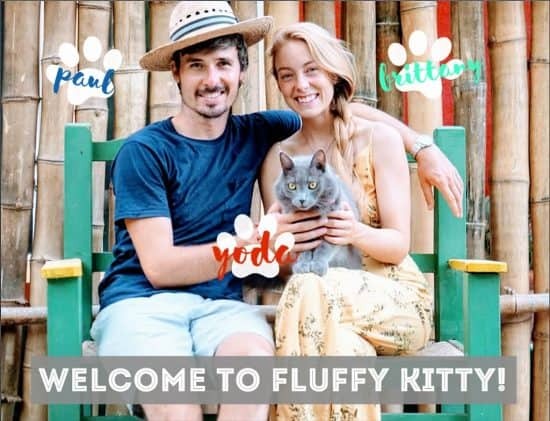 This is an ongoing purchase that you will have to continue making as long as you own a cat, so choose something that you can afford to stick with long-term. In order to make it easier for you to find the perfect natural cat litter for your feline, we’ve broken these reviews down into the different varieties available. Take a look at the best brands and types available under each category of natural cat litter to determine which one is ultimately going to be the best fit for your household. Many cat owners decide to pursue corn cat litter because of its many advantageous properties. For cats who avoid strongly scented cat litters, corn could be the best solution. It offers a biodegradable selection that has relatively large granules, clumping formulas, and produces very little dust. 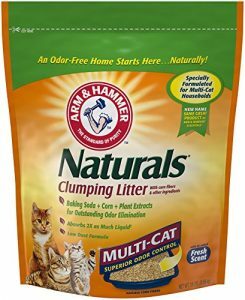 While corn is one of the primary ingredients in this Arm & Hammer Natural Clumping Litter, it also has a few other secret ingredients that help tame your litterbox. It combines the power of baking soda, corn, and natural plant extracts to absorb twice the liquid (compared to clay litters) while still protecting you from odors. These dust-free corn fibers clump together to make cleaning the litterbox as easy as possible for you. This Arm & Hammer corn cat litter is priced at around $0.80 per pound with high reviews. Negative reviews usually focused on the scent of the litter that comes from the plant extracts. Be prepared that this is not going to be an odor-free formula! The World’s Best Cat Litter for Multiple Cats is often considered to be the gold standard when it comes to corn cat litters. It is a 99 percent dust-free formula that is completely biodegradable. In fact, it can be flushed in most plumbing systems and is also safe for septic systems. Their clumping formula should make it a little easier to clean the litter box sporadically as well. They claim that one bag should last more than four months if you have only one cat. Multiple cats should be able to make one bag stretch for about one month and a half. It is a little more expensive than the Arm & Hammer brand at around $0.90-0.95 per pound for a 25-pound bag. When it comes to biodegradable cat litter, some pet owners will want to consider wheat as an alternative to many commercial brands. Unfortunately, it is newer to the market and thus has fewer options when shopping. However, you will still find that this type of cat litter is worth the consideration. The enzymes in wheat naturally help to control the odor of your litter box with little dust in comparison to clay versions. The texture of the litter is also softer, enticing a finicky cat to use their litterbox. Are you looking for a completely biodegradable and worry-free solution for your natural cat litter? 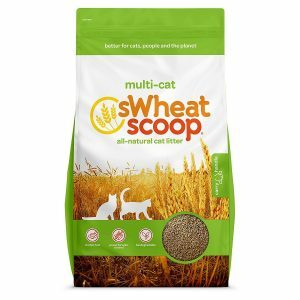 You may want to consider the sWheat Scoop All-Natural litter for your next purchase. It has all of the odor-absorbing properties of natural wheat cat litter with no additives or harmful ingredients found in other types of litter. It even clumps together to make cleaning a breeze. This wheat cat litter is going to be a little more expensive than the corn varieties that we have already taken a look at. It comes in at just over $1 per pound for a 36-pound bag. The sWheat Scoop All-Natural Clumping Cat Litter does have excellent reviews. The few negative complaints claimed that it does little in the way of odor control, but this can often depend on how frequently you are changing the litter. Be prepared to clean the litterbox frequently when switching to a more natural and biodegradable solution. Yoda is using a similar wheat version right now in Mexico and it clumps so well!! Are you ready to make cleaning the litter box less of a chore? Pine cat litter might be the solution that you have been searching for. It is relatively lightweight and dust-free, making it easier than ever to scoop out the litterbox. Pine also provides a natural and pleasant aroma that can help to contain odors from the ammonia in cat urine. If you want to enjoy all of the natural properties of pine cat litter, you may want to consider Feline Pine. It offers the ability to neutralize strong odors almost immediately, leaving your house smelling fresher than ever before. The absorbent material locks in the ammonia scent and can replace it with the aromatic scent of fresh pine. Be prepared to pay a little extra for this awesome cat litter! 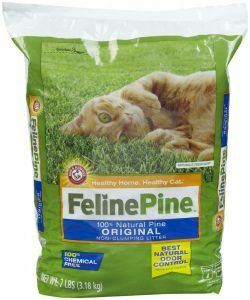 The Feline Pine Original Cat Litter is easily one of the most expensive options on our ranking. It comes in around more or less $2.00 per pound for a 7-pound bag. Yoda uses Feline Pine whenever he is in the USA and approves!! Much like wheat cat litter, a walnut version is a little bit newer to the market than some of the others. This type of litter is made from the crushed shells of the walnut, offering excellent absorption and odor control. They even help with clumping in order to make cleaning the litterbox a cinch. If you want a biodegradable cat litter, this walnut variety might be the best choice for you and your beloved feline. Are you ready to seriously change the way your litterbox works and smells? 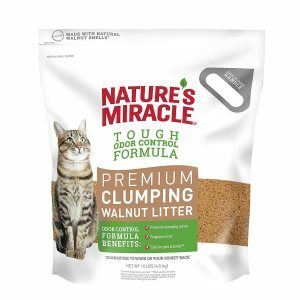 You can enjoy all of the numerous advantages of walnut clumping litter with this Nature’s Miracle variety. It has powerful moisture control that seals in the ammonia odor without producing dust or additional fragrances. If you want to enjoy all of the benefits of walnut cat litter, be prepared for another high price tag. This litter costs around $2.50 per pound when you purchase a ten-pound bag. 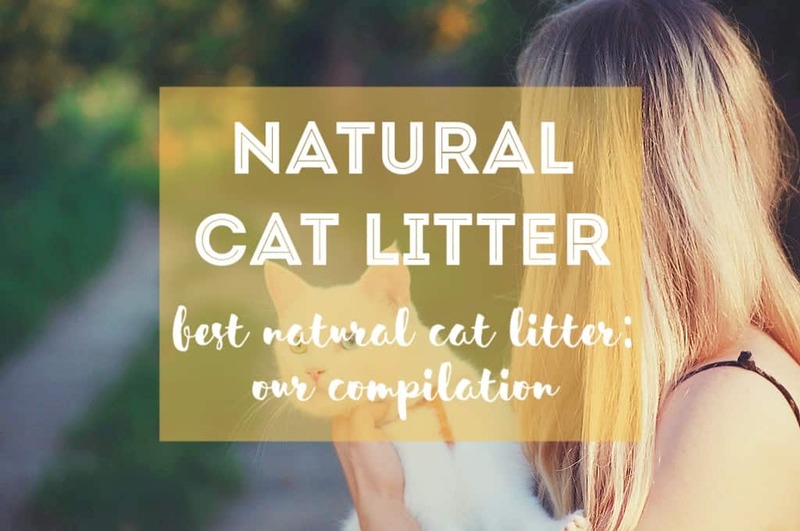 It is an expensive cat litter compared to alternative natural cat litters, so that should be something to consider before you begin making the switch! Paper cat litter gives you a lot of benefits to consider before making a final decision. This environmentally friendly option is made from recycled paper that has reached the end of its lifespan. It is dust-free and absorbent to help keep odors under control. Depending on the type of paper you select, you may even be able to have a clumping variety that makes spot cleaning the litter box a little simpler. This recycled paper cat litter from Purina offers effective odor control and triple the moisture absorption of traditional clay litters. It does come with a fresh scent, so that is something to keep in mind if you have a particularly finicky feline. The low-weight formula is ideal for those who have a difficult time cleaning out their litter box, and it also produces no dust. 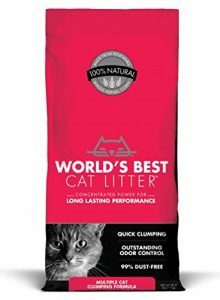 This is one of the more affordable products available when it comes to the best natural cat litter. It is priced around $0.76 per pound. The Purina Yesterday’s News also has some of the most positive reviews we’ve seen. 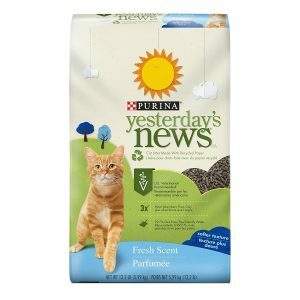 If you’re looking for an affordable natural litter, Purina’s “yesterday’s news” is a perfect starting place! Are you searching for an extremely lightweight option that can make cleaning your litterbox easier than ever before? 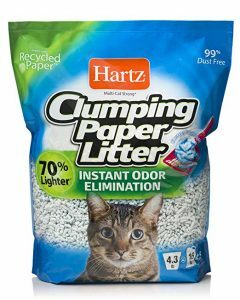 The Hartz Multi-Cat Lightweight Recycled Clumping Paper Cat Litter could be the solution because it is up to 70 percent lighter than traditional clay. The clumping formula even allows the clumps to turn to a blue color, making them easier to identify when you are spot cleaning. While this formula is ideal for owners with multiple cats who want the benefits of paper cat litter, be prepared to pay for it! It comes in somewhere between $2.20-2.30 per pound compared to the much more affordable Purina Yesterday’s News. This litter has more customer complaints because it does make the litter box a bit harder to clean compared to other types of litter. This is something you should definitely keep in mind if you are making the switch to paper cat litter. Switching to natural cat litter can be better for your health and your cat’s health but making the right decision can be difficult. In our opinion, all of these biodegradable options are excellent choices but it depends on which features you want. The best natural cat litter will ultimately depend on you and your feline!